This is not a personal history of Usama Bin Laden, nor is this an account of Islamist terror or the war on terror. Rather, this is an attempt to place the ideology of bin Laden in a framework that I hope would help in comprehending the phenomena. While Europe was engulfed in the Dark ages, the Islamic world was the center of a global civilization. It inherited the knowledge and skills of the ancient civilizations of the fertile crescent, Greece, Persia and India. For centuries, the boundaries of Civilization were marked by the frontiers of the Islamic world. Underwritten by military and technological superiority, Islam spread its dominion from Spain in the West to China in the East. Europeans were regarded as barbarians with nothing to offer in terms of ideas or technology. Christianity was seen as version 2.0 of the Abrahamic tradition, Judaism being the original and Islam being the final one. The rise of Western Europe can be traced to the aftermath of the Black Death. There was a sustained rise in per capita income and urbanization in the pre-industrial period 1350-1700 A.D. The discovery of the New World in 1492 led to a sustained period of capitalist development driven by the interaction of late medieval institutions and colonial trade. Europe had probably overtaken the Islamic world in wealth and trade by the beginning of the 16th century and by the turn of the century it was far superior technologically and militarily. This was brought home in the classic way: as a Lesson of the Battlefield in the year 1699. With the defeat of the Ottoman empire and the signing of the Treaty of Carlowitz in that year, the superiority of Western power belatedly entered Muslim consciousness. Up until then, the uppity powers to the West had gone more or less unnoticed. Bernard Lewis writes in his seminal work, What went wrong? “The Renaissance, the Reformation, and the technological revolution passed virtually unnoticed in the lands of Islam, where they were still inclined to dismiss the denizens of the lands beyond the Western frontier as benighted barbarians, much inferior even to the more sophisticated Asian infidels to the East. As happened elsewhere, the proximate cause of Western military superiority was identified with Western technology and military practice, and these were rapidly copied. Such measures failed to halt the growing power inequality and the West came to dominate the Islamic world completely towards the end of the 19th century. With the spread of Western education and the printing press, there were moves to identify the source of Western strength in market capitalist and liberal social institutions. As the ideas of nationalism, secularism and liberty penetrated Muslim consciousness, efforts were made to modernize and/or Westernize ossified Arab societies. These were met with variable degrees of success in terms of creating modern societies in the Middle East and North Africa but failed to contain Western dominance. The immediate post-war period saw decolonization on a massive scale and the emergence of autonomous states in the region. But most regimes remained under Western tutelage, which by now meant the United States. The notion that Arab and Muslim impotence in the face of Western power was ultimately due to Arab/Muslim decadence and turning away from Islam has been around for centuries. In fact, this has been traditional response to the question. For such traditionalists, the appropriate response is not Westernization but rather purification. That is, to regain the vitality of the Golden Age of Islam, we need to purify Muslim societies and return to a purer form of Islam. Usama bin Laden wove this argument into a narrative of anti-imperialist resistance and combined this potent mix with the legacy of the fidayeen. The Assassins (from the Arabic Hashishiyya) were a puritanical Muslim sect in the 12th century. The called themselves the fidayeen, meaning those who were willing to sacrifice their lives for the cause. They tried to assassinate Muslim rulers they considered impious and debauch. The term was adopted again in the 20th century by terrorists in Turkey, Iran and the militant wing of the PLO. But while the Assassins carried out targeted killings, the modern fidayeen attacked civilian populations. But even these terrorists were nationalists seeking political rights. The origin of Islamist terror is more recent. The Soviet invasion of Afghanistan prompted the CIA to support the Islamist resistance forces, the Mujahideen. Soviet weapons captured by the Israelis from Egyptian forces were transferred via the ISI to the Mujahideen. Radical Islamists flocked to Afghanistan from all over the Islamic world to fight the Godless communists. 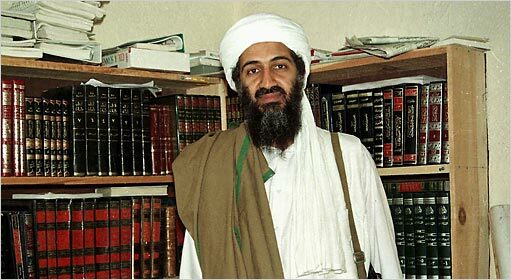 Many came from the Wahhabi schools in Saudi Arabia, including bin Laden. At the end of the occupation, there was a standing army of battle hardened and radicalized Islamist militants who then spread out like a cancer to the rest of the world: Kashmir, Chechnya, Philippines, Pakistan, Indonesia, Britain, Yemen, Saudi Arabia and eventually, of course, the United States itself. The revolution taking place on Arab streets is a clear rejection of the bin Laden doctrine. The young, educated revolutionaries recognize that the Western ideas of political liberty, personal freedom, accountable governance and political participation are Western discoveries not inventions. They are tired of living in predatory unaccountable tyrannies. Now, more than ever, they envy the Free world and want the same freedoms that Westerners enjoy. They want institutions that put them on the road to prosperity. By now, its well understood that the source of Western power and prosperity is institutional structures: the most important of which is liberty. The right of man to be free of harassment from a predatory state may not be God given, but it surely lies at the heart of the vitality of a society. Mohammed Bouazizi burned himself in Tunisia and set the Arab world aflame for precisely this freedom. U.S. dominance of the Persian Gulf and the rest of the Middle East is not dependent on friendly petro-dictators. It follows from the fact of overwhelming U.S. power. In fact, U.S. backed authoritarian regimes are more fragile than democracies. Moreover, these regimes have to support Islamists themselves for political survival. Even the appearance of Western tutelage undercuts the moderate reformers and strengthens the hands of Islamists and radicals who want to confront America rather than pursue prosperity at home. Furthermore, it directly plays into the bin Laden narrative. The United States has already spent at least 3 trillion dollars in hunting for bin Laden and the fight against Islamist terror. Killing his dream would be much cheaper: stay on the right side of history by supporting the protestors not the despots. Especially where you have most control like Bahrain, Saudi Arabia and Yemen. This is so obvious that even the Economist approves.